The past two years have been difficult for the relationship between Europe and the United States: Edward Snowden’s June 2013 revelations about American espionage activities in Europe kicked off a series of awkward discoveries – the most uncomfortable of which may have been the news that Angela Merkel’s personal phone was hacked by the NSA – even as both sides attempted to negotiate the Transatlantic Trade and Investment Partnership (TTIP) and marshal a united front against threats from the Islamic State and Russia. The rift that has opened up is complicated, reflecting divergences on both sides of the Atlantic. Americans on the political left still see Europe positively and hope to work with the EU on international problems, while those on the political right are looking inward. 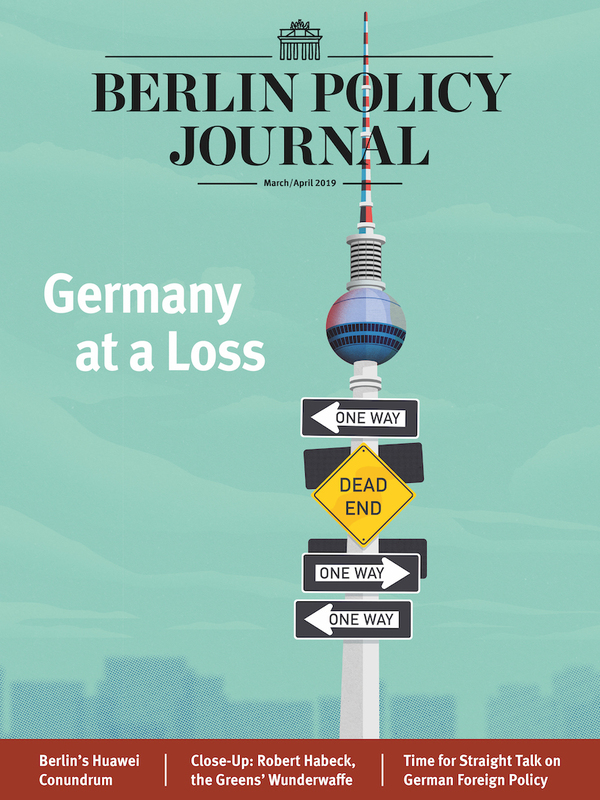 At the same time, Germany – which has become, for better or worse, Europe’s sine qua non, and which is particularly sensitive when it comes to spying issues – has less and less interest in transatlantic cooperation and greater interest in an EU that operates on its own. In 2014 the German Marshall Fund’s Transatlantic Trends survey found that Germans in particular see the US less favorably than they used to. They still want Washington to play a major role in world affairs – a majority virtually unchanged from 2013 confirmed that – but they are not necessarily thrilled with the role Washington is playing at the moment: 40 percent described their opinion of the US as unfavorable, a ten percentage point increase since 2013, and the number who said they did not approve of US President Barack Obama’s international policies doubled from 19 to 38 percent. 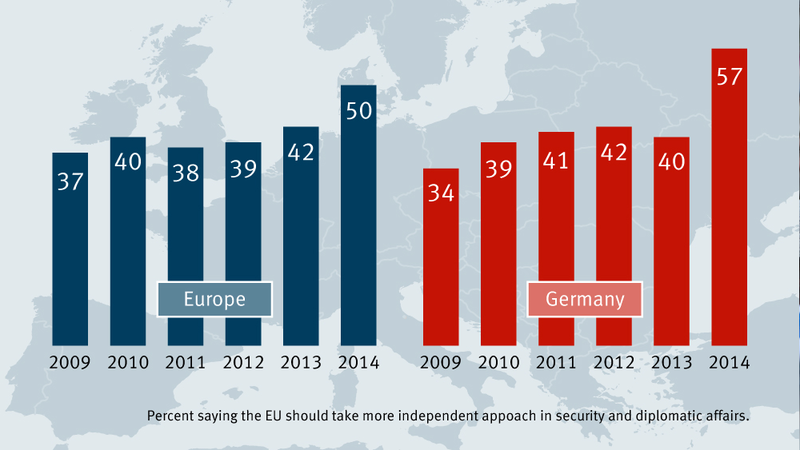 More than half say the EU should take a more independent approach in international affairs. The Germans are not alone in their reluctance to work with the US. About half of French, Italian, Dutch, Spanish, and Swedish respondents surveyed give the EU priority when managing relationships with Russia, China, and the Middle East; only about one in ten wanted to work with Washington. Poland was the only exception: about 20 percent of Poles would prefer to manage these relationships with the US, while slim pluralities would prefer to operate independently. On the American side, an overwhelming majority of Americans – 73 percent – wanted the EU to play a leading role on the world stage. However, broken down by political alignment, this actually reflects a left wing where support for a larger EU role is nearly universal (85 percent) and a right wing where it is slightly more tepid (67 percent). The same pattern emerges, in fact, whenever the EU comes up: Three-fourths of Americans on the left have a favorable image of the EU, compared to only 61 percent on the right. A plurality on the left (46 percent) thinks the US should work more closely with Brussels; a plurality on the right (40 percent) thinks Washington should take a more independent approach. The pattern grows even starker when Americans are asked about their preferred partners in different theaters: Nearly seven in ten on the left say the US should work with the EU on Russia and the Middle East, and half say the same about China; meanwhile, over half of American respondents on the right think the US should manage its relationships with Russia and the Middle East on its own, and 60 percent say the same about China. The US is still, by a wide margin, Europe’s preferred non-European partner – especially in Germany. When our sister publication Internationale Politik asked in October 2014 whether the US was still the countries’ most important ally outside the EU, 68 percent said it was, while a quarter disagreed. (Of the latter, 39 percent preferred China, 27 percent Russia, and six percent India.) While the recent poll “Reliable Allies”– conducted by the Pew Research Center and the Bertelsmann Foundation in spring 2015, before the latest controversy about alleged collaboration between Germany’s foreign intelligence agency (BND) and the NSA – found German-American relations in solid health, there was a noticeable drift in terms of how the debates are framed in the US and Europe. On TTIP, for instance, Americans tend to worry about job losses, while Germans are concerned about lowering food, automotive, and environmental standards. 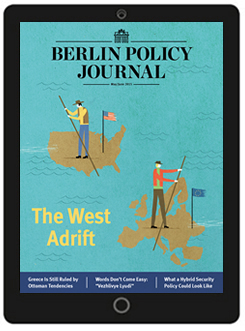 It is difficult to say how recent BND-NSA revelations will affect opinion of the transatlantic relationship: Will the United States look better if even European agencies are shown to be prone to overreach? Or will this make cooperation look even more corrosive? The transatlantic relationship is still strong, but it shows wear and tear in a few places – and right now, that is something it can hardly afford. 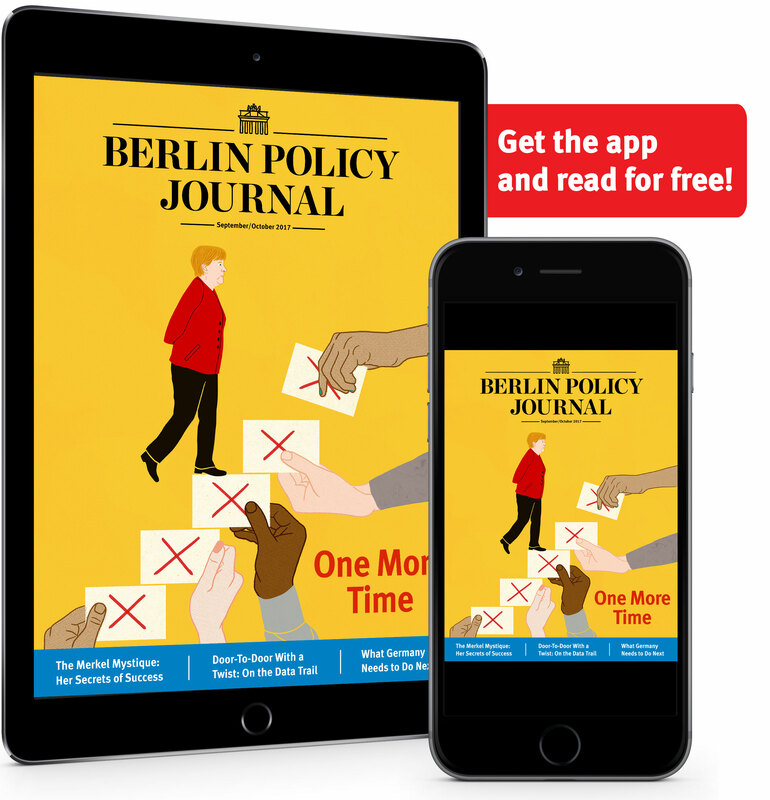 Read more articles from the May/June 2015 issue FOR FREE in the Berlin Policy Journal App.